I had always thought hiking poles were for Gords (a term I am borrowing from my brother – people who require all the top notch gear to do any activity and in that lose the essence of the activity itself). In fact I made fun of my mom relentlessly for buying a pair of nordic hiking poles. Well I still kind of do (I mean using hiking poles in the woods is one thing, but on pavement?? on residential streets???). But then again I like to wear my vibrams around town, so that basically makes us even on the uncool factor. 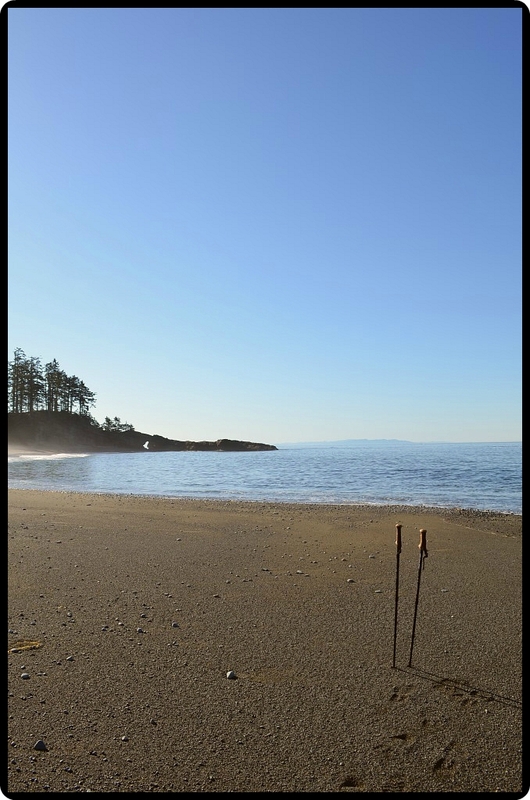 However when I googled “should I use hiking poles on the West Coast Trail” the answer was a resounding yes. My main concern was for the health of my knees – especially since the trail was not advised for people with recurring knee problems (aka me). Willing to try anything to avoid having to get evacuated along the trail from unbearable knee pain, I decided to invest $30 in a pair of pretty basic hiking poles. Best Investment Ever. I’ve never been on the West Coast Trail, or even done much hiking at all in Canada. But I’ve done sections of the PCT. And it would be madness to go more than a short distance without trekking poles on that one. Great for balancing on logs across rivers, and for “feeling” the bottom of a knee-high creek that must be crossed. Plus, as you discovered, going down hill is harder work than going up, and they save your knees. So true! 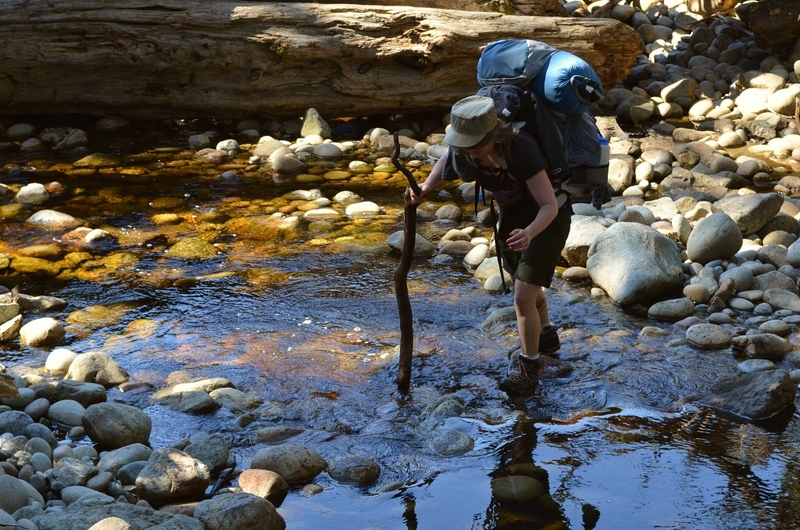 I would love to do some of the PCT one day – I will without a doubt bring the poles. Actually I think they will be coming with me on any hike more than just a couple of hours now for my knees sake.